FIRST at Blue Ridge is a 12 Step Based, Peer Led – Peer Driven, Modified Therapeutic Community with an Intensive Clinical Overlay delivering targeted wrap around services through a Case Management Model to the program participants and the specific populations served within its various components. First at Blue Ridge is a non-profit organization which started its operation in 1991. The organization is dedicated to providing help for people battling the disease of addiction. The organization offers various groups which help clients on their road to long-lasting recovery. Some of these groups include relapse prevention, group counseling, anger management, and self-help meetings. The organization also offers long-term, short-term intensive programs for individuals struggling with chemical dependency which can last up to three months, and a two-year program for veterans struggling with substance use disorder known as “Vet’s FIRST”. The program for veterans is one of the few programs in the country which offers addiction treatment and accommodation for homeless veterans. During the residents’ stay at First, they are faced with issues and challenges that are very common in society and residents will learn job skills, habits, and work ethic as they work their way into the program. In October of 2011, the organization started a residential program for women and children. The program takes place in a double story, 13,000 sq. ft. building which has undergone a number of renovations. The program offers a safe, nurturing place for women, pregnant women, and female veterans struggling with addiction problems. The program also offers pre-natal services for expectant mothers. Individuals can also receive comprehensive assessments and have individual treatment plans designed for them by professional counselors. Staff is always available for monitoring and assessments. The facility is located in Ridgecrest, North Carolina which is in the Buncombe County and east of Asheville. The campus has a five-story building to accommodate residents and is capable of housing up to 85 men (25 beds are usually reserved for male veterans) and 65 women (10 beds are usually reserved for female veterans). Residents are separated into gender-specific accommodation style. The facility has transitional living houses (half-way houses) which are self-contained and can accommodate up to 25 people. A clients’ eligibility to live in a transitional house is determined by the staff. Food is served thrice daily in the facility’s main cafeteria and there is a salad bar available for residents. Additionally, the residents are offered fresh coffee every morning and other beverages including sweet tea are available to residents. The facility offers a yearlong program for individuals suffering from substance use disorder. This program is usually divided into two phases. The first phase involves clinical groups and support meeting which seek to help the client on their path to full recovery while the second phase consists of recovery meetings, job assignments, and the 12-step study. The residents work skills are developed during this period. This program is tailored for residents who cannot stay in the long-term program due to other pending responsibilities. The residents usually stay for about a month and remain in the phase one stage of treatment throughout. FIRST at Blue Ridge costs vary depending on the program offered, treatment registered into, and consultation fees. The healthcare center has an Admissions department that provides rough estimates of costs of different services at the facility. The administrative staffs are available from Mondays to Fridays, 9:00 am to 5:00 pm. It is mandatory for appointments to be made as this helps the organization collect all the information needed, verify it, and provide necessary help to clients that in need of such. The department is also in charge of the evaluation of new intakes or clients seeking to gain healing from substance abuse addiction. 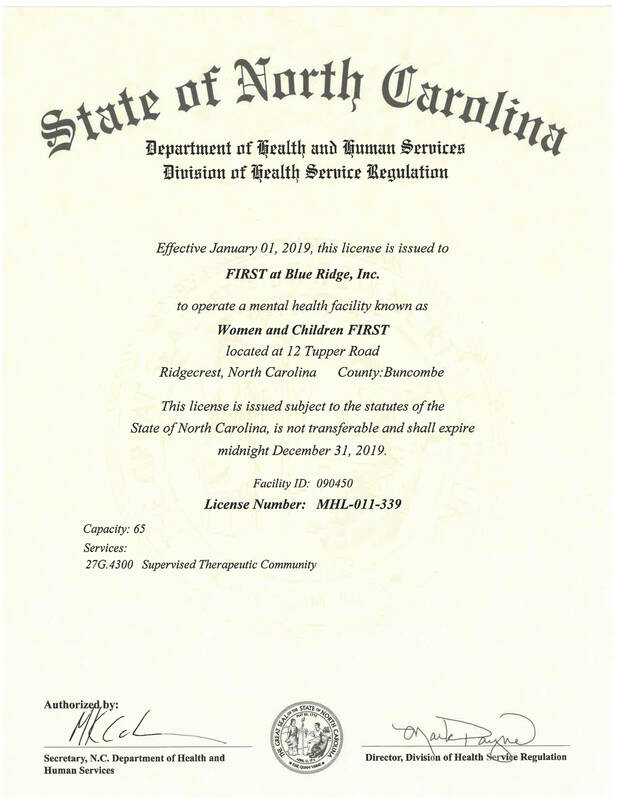 FIRST at Blue Ridge, Inc. is licensed by the state of North Carolina Department of Health and Human Services. At the facility, clients who have successfully completed a program are given special rings as a symbol of their perseverance. 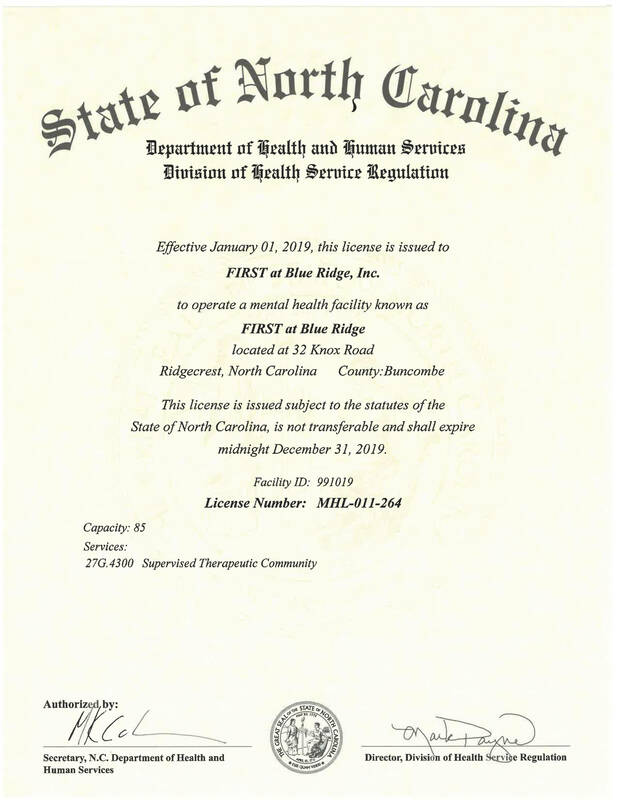 FIRST at Blue Ridge, Inc also allows for residents to remain at the campus for over twelve months after treatment to help clients pay debts, save money, and for future planning. A discharge plan is made for every individual, unique to their treatment or issues, after completion of a program and it normally consists of family and friends support, setting long and short-term goals, and continued 12-step meetings attendance. The facility currently has two cottages that house eight residents either graduates of a program or clients in the re-entry program. 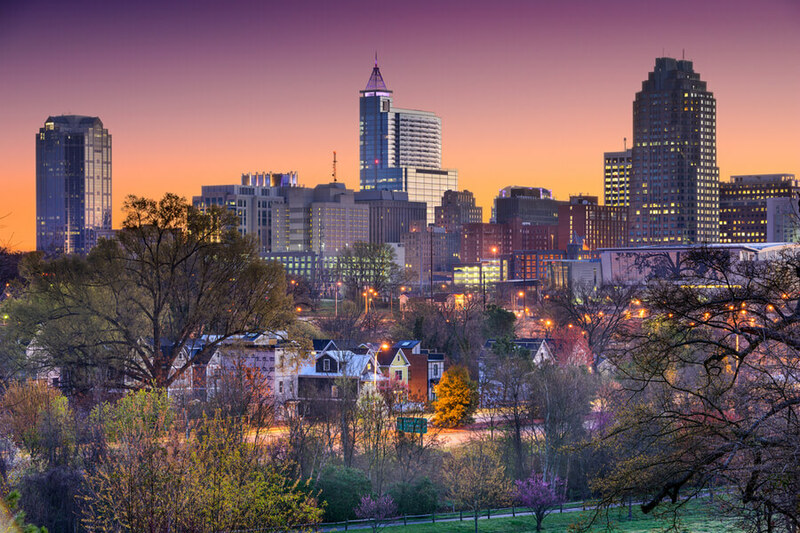 Each of these groups is offered basic amenities such as Television (Cable), vending machines, washing and drying machine, pay phones, and many more. The residents in the re-entry program have access to three square meals a day in the facility cafeteria.